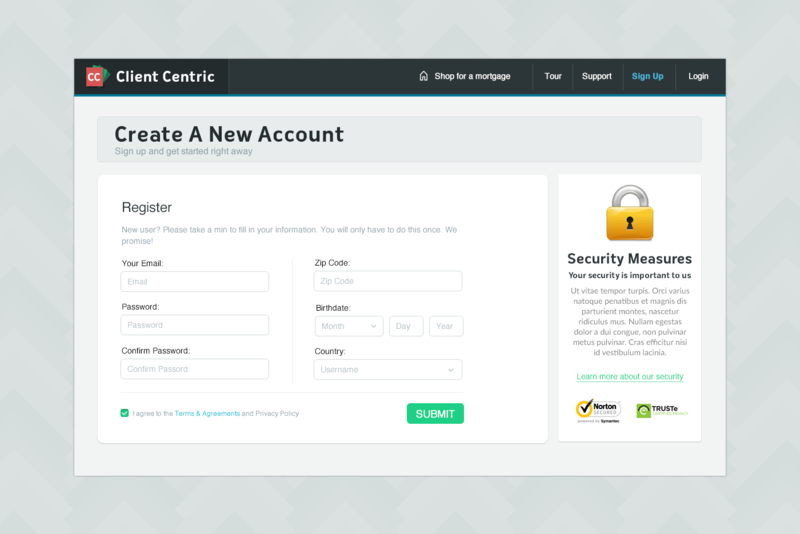 Client Centric App is a one stop destination application for all Americans where they can have all their personal monetary information and services at their finger tips. Here is a sneak peak into the application. Creating an account is made simple with users needing to fill just 6 basic fields. A banner with the security endorsement from top data protection firms is included in the sidebar. 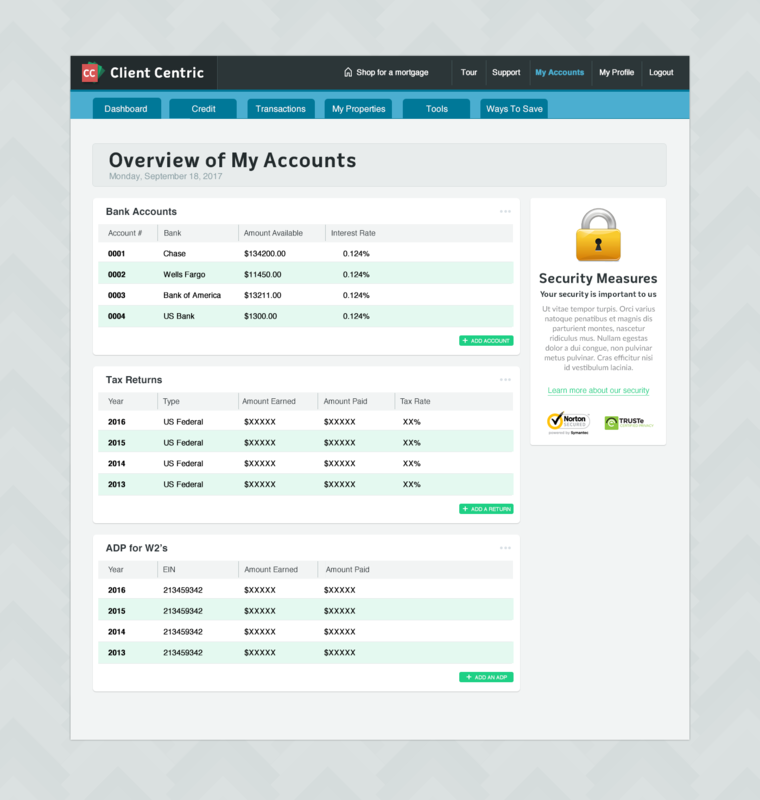 This is the page where a user can view in a single window all the personal critical monetary information like Bank account details, tax returns and W2 information. Once a bank has been given access to this page, they can easily extract such information to process and underwrite the mortgage. Year wise formatting also helps in a comparative analysis. For a full view of the application, it is required to sign a Non-Disclosure Non-Compete Agreement. Click here to download the Non-Disclosure Non-Compete Agreement. Please fill it and send to vinu@takefiveconsulting.com. After receiving the duly filled Non-Disclosure Non-Compete Agreement, full access to Client Centric Portal will be granted. For further details feel free to contact us at 1800.846.1619 or write to us at info@takefiveconsulting.com.